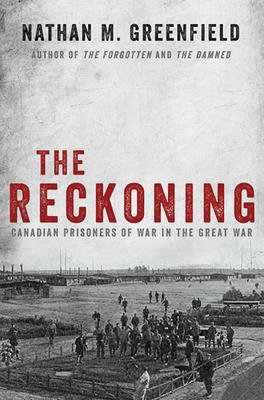 Local historian, Nathan Greenfield will be here on Sunday, November 6 at 2:30pm to launch his brand new book The Reckoning: Canadian Prisoners of War in the Great War. “Conditions in German POW camps were generally vile, with soldiers having little to eat but thin soup and putrid meat. Canadian men were used as slave labourers in salt mines and coal mines, and those who refused the work were beaten. Any soldiers thought to have engaged in sabotage were beaten and tortured, and some were murdered.